A bill intended to ensure radon levels are mitigated in new homes, schools, offices and other buildings received final approval by the Legislature April 24. 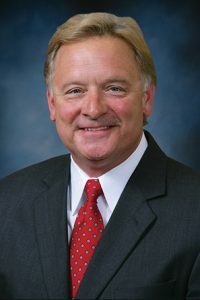 Introduced by Sen. Bob Krist of Omaha, LB9 creates a task force that will develop minimum standards for radon-resistant new construction in Nebraska. The standards will be designed so that they could be enforced by a county, city or village as part of its local building code. The task force will provide its recommendations to the governor and the Legislature’s Health and Human Services and Urban Affairs committees by April 15, 2018. The task force disbands May 1, 2018. Lawmakers voted 35-4 to pass the bill.